If you are looking for more gravy curry recipes then do check Meal Maker Curry, Baingan Bharta, Aloo Ka Rassawala Shaak, Shahi Paneer and Aloo Palak. 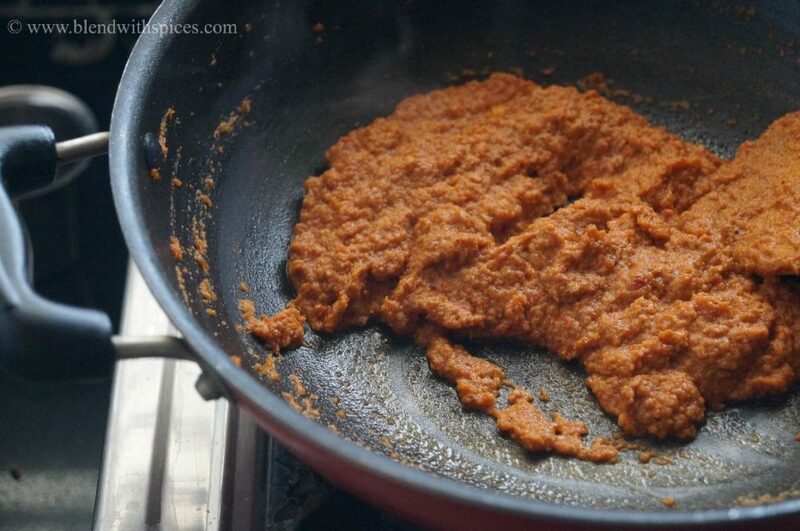 Grind the soaked almonds, chopped onions, ginger, garlic and red chillies to a smooth paste and set aside. 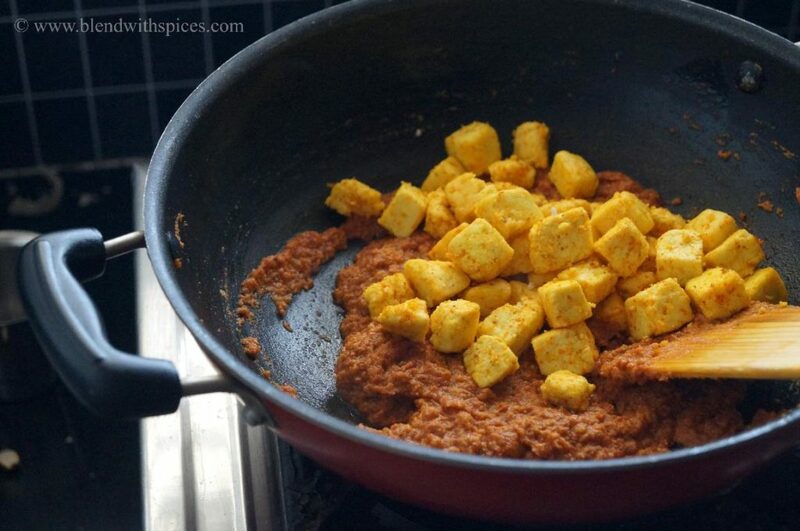 Marinate the paneer cubes with 1/2 tsp chilli powder, turmeric powder and salt and keep it aside for few minutes. 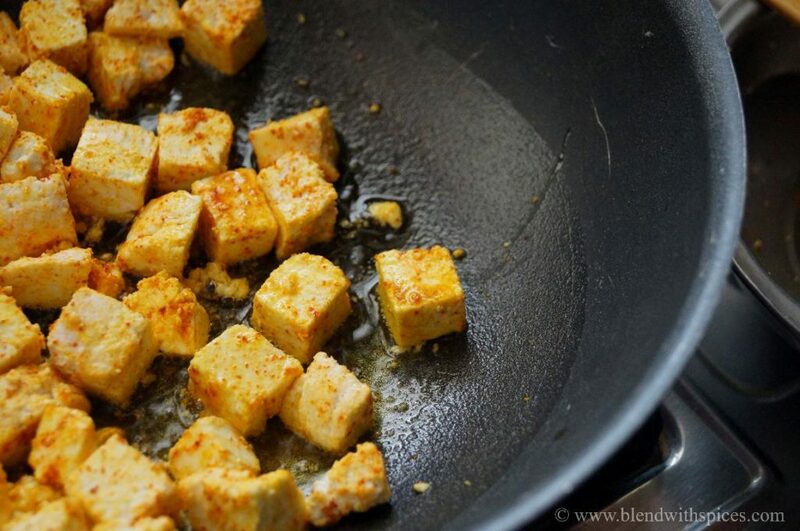 Heat a tablespoon of oil in a pan and fry the marinated paneer cubes for 1 – 2 minutes. 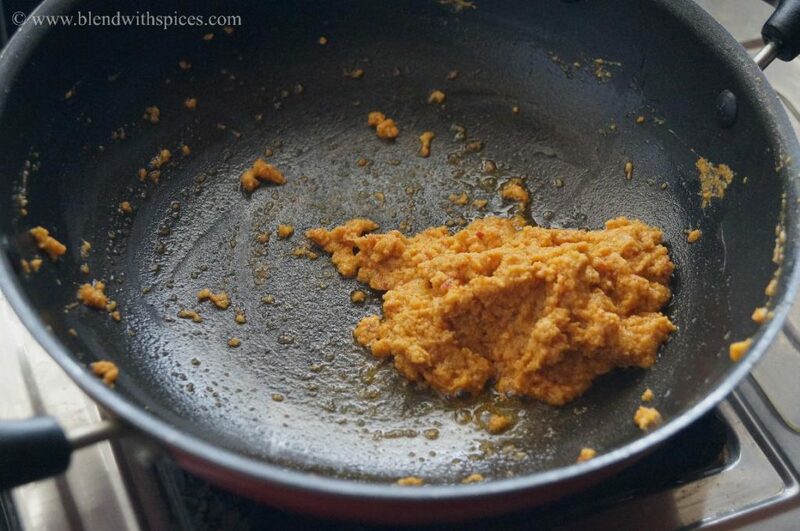 Heat the remaining oil in a pan and add the ground almond and onion paste. Fry the almond paste for 5 minutes or until the oil separates from the mixture. 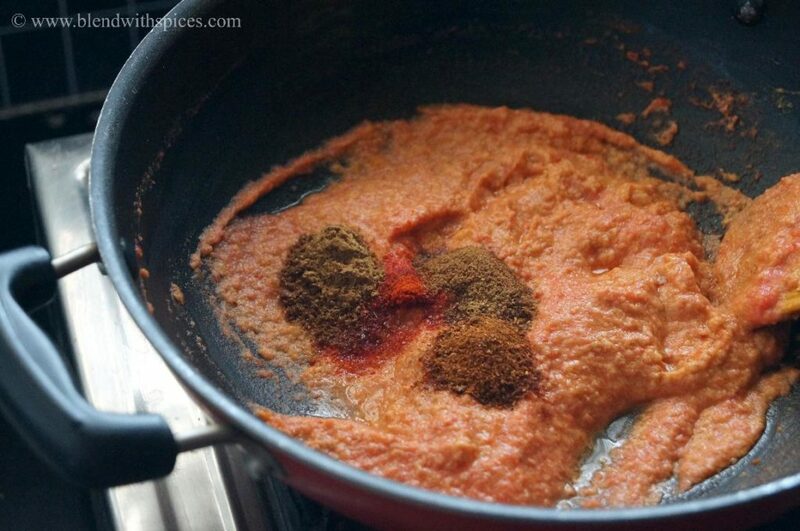 Add the tomato puree and combine well. 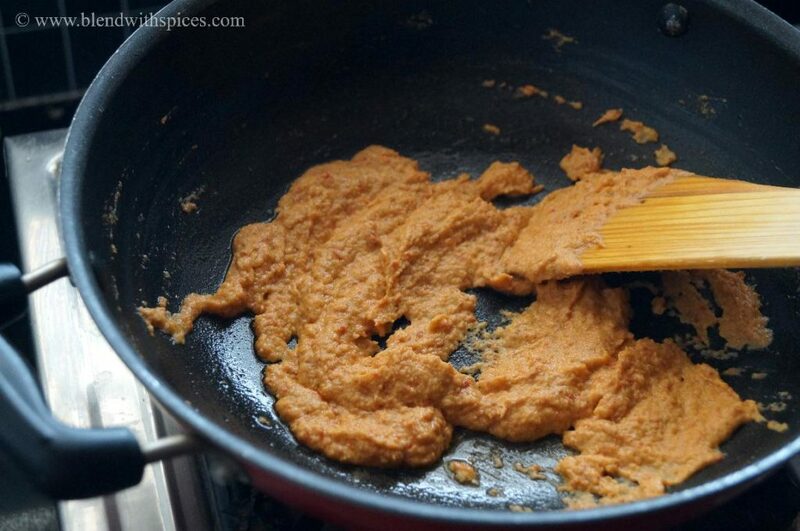 Add the garam masala, cumin powder, coriander powder, salt, sugar and red chilli powder to it and mix well. 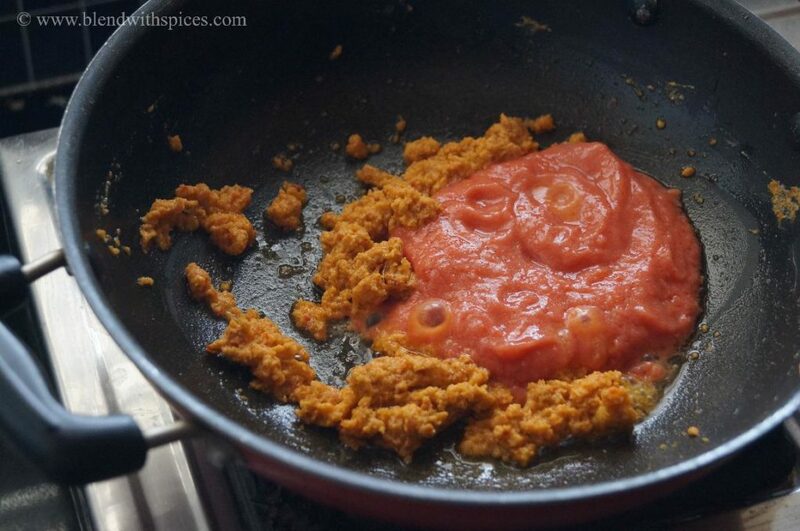 Let it cook over a medium flame for 10 minutes or until the oil separates from the masala. 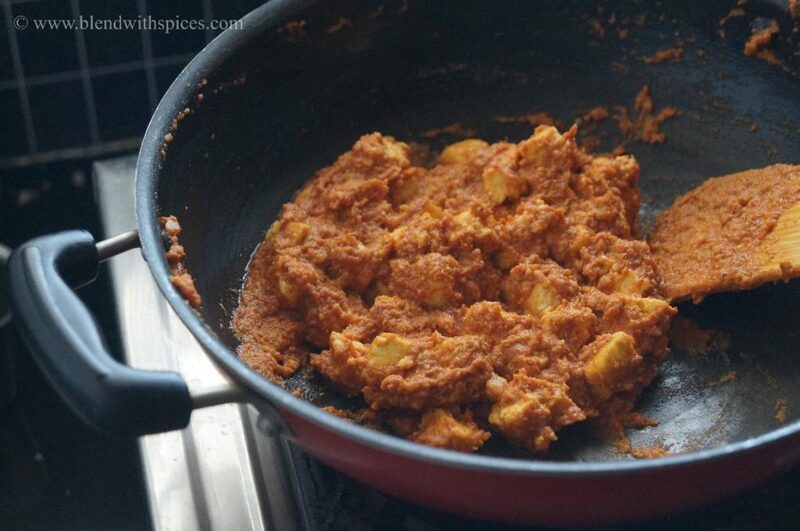 Add the prepared paneer cubes and combine. Now add milk and mix until well combined. 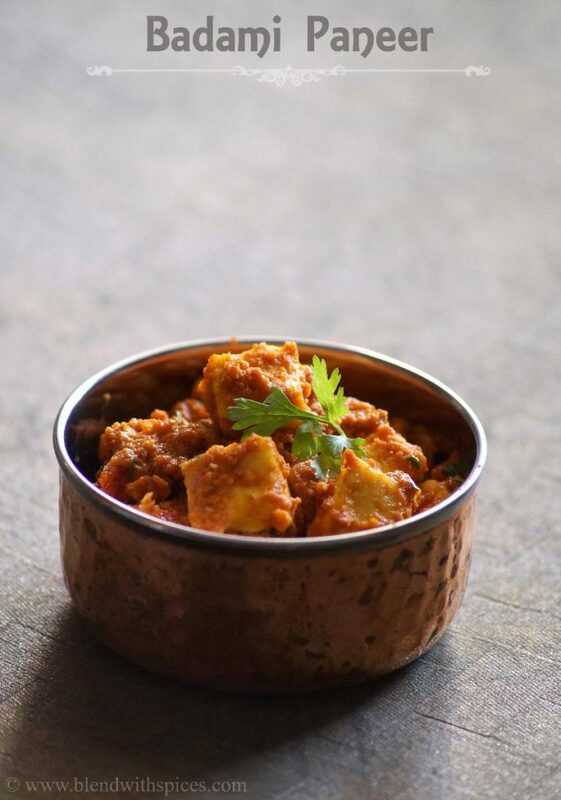 finger licking royal paneer recipe….much be rich and creamy with addition of almond, must try! I delicious and lovely looking badami paneer. Thanks for sharing with us step by step pics.